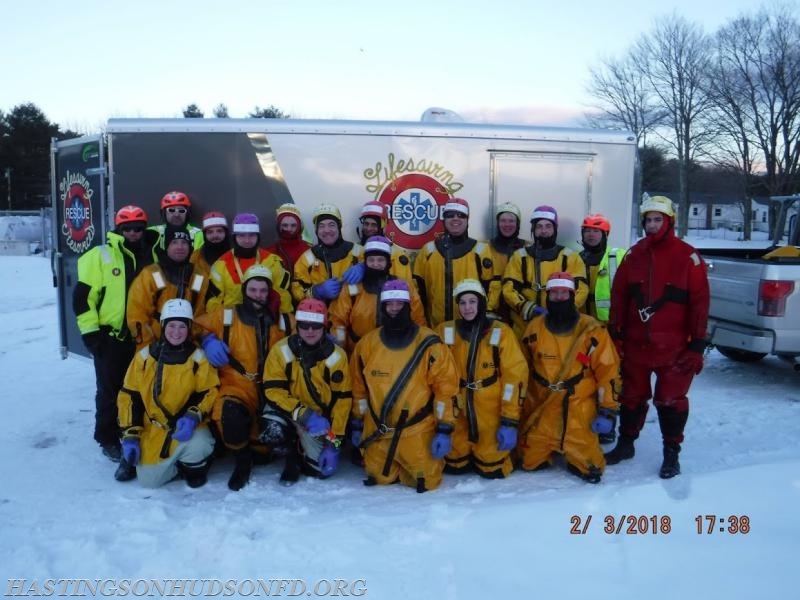 In February, three members of the Hastings-on-Hudson Fire Department attended the ice rescue technician course in Portland, Maine, given by Gerry Dworkin from Livesaving Resources. 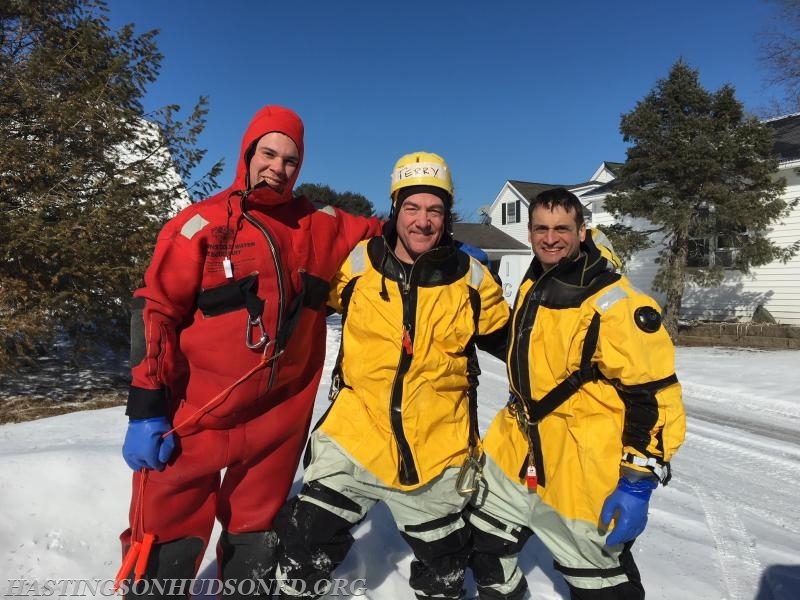 Brian Usher (Ladder 22), Terry Buechner (Engine 46) and Ed Herbstman (Engine 46) completed the course in -11 degree temperatures. 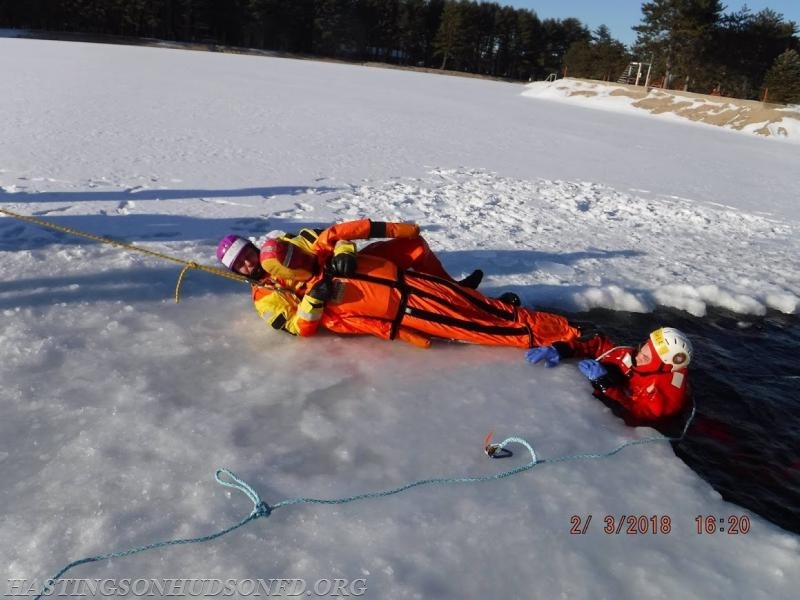 A mjaority of the time they were in the water completing evolutions, earning their ice rescue technician level certifications. 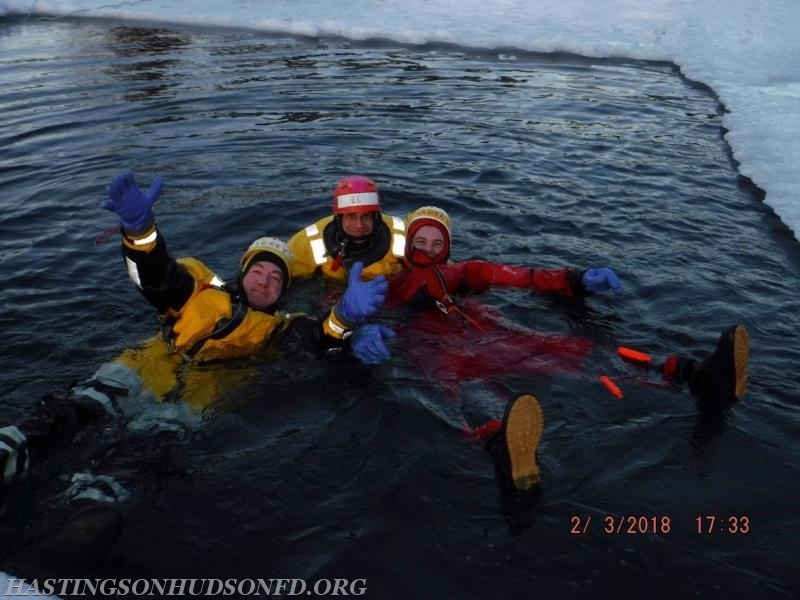 They are a welcome addition to the current HFD ice rescue team. 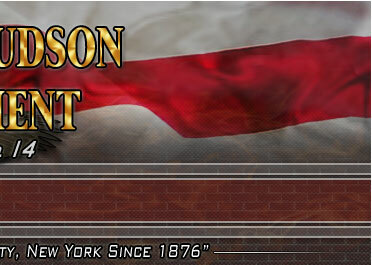 Several more members are enrolled to take the course next month.